Lock in a great price for B&B Hotel Albacete – rated 8.5 by recent guests! The location is excellent to visit Albacete with a good shopping centre next door, and easy access from the motor way. Good for an overnight stop over or a little longer to explore the area. Croissants were flakey. Bed did creak when I moved. Extra large bed. Plenty of parking. A comfortable stay at very affordable price. The place was very clean, spacious room, bed was comfortable and everything was better than expected. The airconditioning is really amazing. Staff extremely friendly and helpful. Nearby ia a commercial area with supermarkets and places to eat. We were travelling from Badajoz to Alicante and had an overnight stop. It was excellent, with plenty of eating places close by. Very clean & staff were very welcoming and helpful. Spoke very good English too. 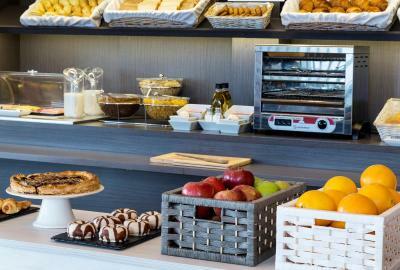 B&B Hotel Albacete This rating is a reflection of how the property compares to the industry standard when it comes to price, facilities and services available. It's based on a self-evaluation by the property. Use this rating to help choose your stay! 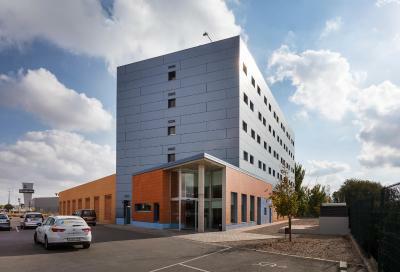 B&B Hotel Albacete is 1.9 mi from the center of Albacete, next to Imaginalia Shopping Center and the A32 Motorway. It offers free Wi-Fi, free parking and a 24-hour reception. Modern, air-conditioned rooms have a flat-screen TV and work desk. They are also heated and feature a private bathroom with a rain-effect shower. 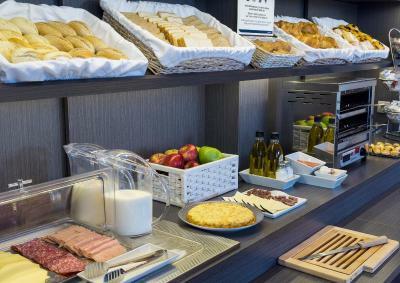 Guests can enjoy a continental breakfast at the B&B Hotel Albacete. 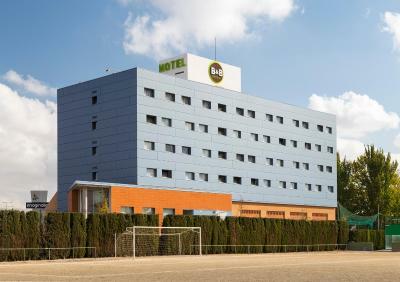 The hotel is just 5 mi from the Albacete Speed Racing Circuit, and next to the city’s main business park. This property is also rated for the best value in Albacete! Guests are getting more for their money when compared to other properties in this city. When would you like to stay at B&B Hotel Albacete? This modern and comfortable, air-conditioned room includes 2 single beds and has free Wi-Fi, a flat-screen TV and a work desk. It is heated and features a private bathroom with a rain-effect shower. Guests can chose between firm and soft mattresses. This modern and comfortable, air-conditioned room inlcudes 1 double bed and has free Wi-Fi, a flat-screen TV and a work desk. It is heated and features a private bathroom with a rain-effect shower. This modern and comfortable, air-conditioned room includes 1 double and 1 single bed and has free Wi-Fi, a flat-screen TV and a work desk. It is heated and features a private bathroom with a rain-effect shower. Please note this room can accommodate 2 adults and a child up to 12 years old. 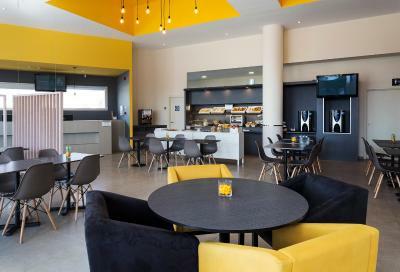 The Sidorme cheap Hotel in Albacete is an ideal place to stay in the metropolitan area of this historic city of La Mancha, whether for business or leisure stays, given its good price/quality ratio and excellent connection to the main Spanish cities. House Rules B&B Hotel Albacete takes special requests – add in the next step! B&amp;B Hotel Albacete accepts these cards and reserves the right to temporarily hold an amount prior to arrival. B&B Hotel Albacete accepts these cards and reserves the right to temporarily hold an amount prior to arrival. Please note that payment for the total amount of the reservation is due upon arrival. Please note that pets are not accepted, except for guide dogs. No restaurants in the neighbourhood - except Burger King, Mc Donalds,... Need to have your own transportation to reach the hotel (car, motorbike, bicycle (?)). Nothing could have been better. Comfy and warm. The location is not the best is you don't travel with a car. From the Train station to the hotel i got with a bus+ 15 min walking, but to travel from the hotel to the city center there is not really any good option. Had to eat in McDonald’s as restaurant closed on Monday and local cafe only had tapas. Great location. Fabulous staff . Second visit even more impressed! Would have liked a mirror in the bedroom as well as bathroom.The bathroom door did not have a lock . Good location out of town as we were only passing through on our way to Spain. Plenty of parking. Very friendly and helpful reception. Free tea/coffee available 24 hours . Adequate breakfast for 6 euros . All good, free tea and coffee all the time. Breakfast good. Croissants and bread fresh and tasty.